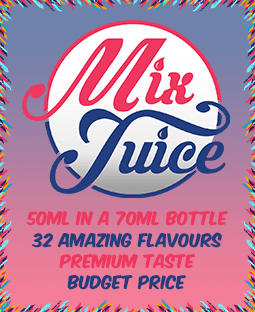 Mix Juice Scottish Fizz is a great tasting, Iron Brew inspired e-liquid. Mix Juice Scottish Fizz is a truly authentic recreation of Scotland “other” national drink – the first being Whiskey of course! Fruity, sweet and great tasting – sure to tingle the taste buds of any highlanders and lowlanders alike! You can buy your Mix Juice Scottish Fizz on its own, nicotine free or you can add 10ml or 20ml or Nic Shot to create your desired strength.